If you were unable to catch the first segment of last night’s 60 Minutes broadcast entitled Inside the genetic genealogy being used to solve crimes, click HERE to view for free or click the video below. GEDMatch: how it was created, the founders and how it is being used by law enforcement for solving cold case crimes. Genetic Genealogy: with an interview of genetic genealogist CeCe Moore, 60 minutes covered the issue of using good old-fashioned genealogy research methodology to solve these cases – it can’t be done with DNA matching alone! Parabon: the company based in Reston, Virginia that is working with law enforcement to develop tools to solve crimes involving DNA samples. Privacy: briefly covered (and not covered enough, in my opinion) the concept of privacy and DNA uploads in public databases. Once you’ve watched the video, make sure you visit the 60 Minutes page HERE to view extra content that did not make it into the original segment. There are videos on privacy, Parabon, and more. 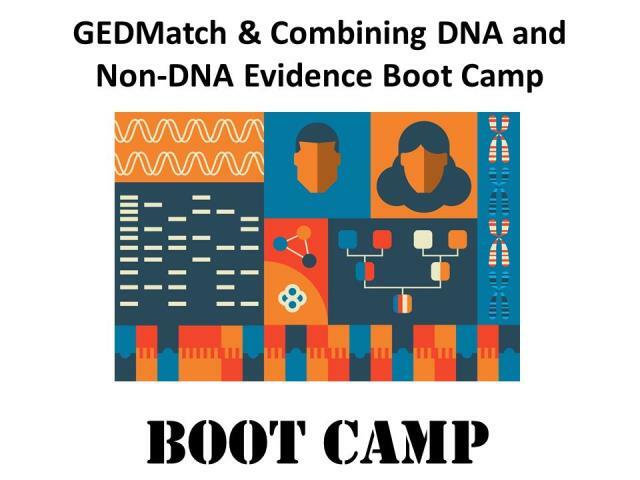 Save 30% on GEDMatch & Combining DNA and Non-DNA Evidence Boot Camp! Join DNA expert Mary Eberle of DNA Hunters shares her tricks and tips on using the popular (and FREE) GEDmatch program, AND walks you through a case study focusing on combining DNA and non-DNA evidence. Mary will also answer your questions live during the online webinars.